According to the Catholic Church calendar, March 19 is the Feast Day of St. Joseph. It also happens to mark the day when swallows traditionally returned to the Mission at San Juan Capistrano. The mission, founded in 1776 by Spanish Catholics of the Franciscan order, has had a fascinating history. An 1812 earthquake damaged much of the structures. In 1841, Governor Juan Alvarado declared the Mission a secular Mexican town, granting the few remaining residents rights of ownership or use of the land. In 1845, two Englishmen bought the Mission property under questionable circumstances. 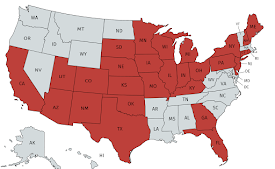 A smallpox epidemic in 1862 killed most of the native peoples of the area, and Abraham Lincoln signed a proclamation on March 18, 1865—the month before he died—restoring ownership of the mission to the Catholic Church. It’s hard to say when people first associated the Mission with Cliff Swallows, but a play by John Steven McGroarty titled The Mission Play, written in 1911, ends “amid the broken and deserted walls of Mission San Juan Capistrano (the Mission of the Swallow).” The Cliff Swallows may have started nesting on the structure as soon as it was built. According to legend, the birds first started nesting at the Mission when an irate innkeeper outside the Mission began destroying their mud nests, but the swallows were almost certainly attracted to the structure anyway because the Mission walls conspicuously rose above the landscape, and its location near two rivers made it an ideal location for obtaining both the mud necessary for building their little adobe nests and a constant supply of the insects for feeding adults and their young. The walls also provided protection against the elements. 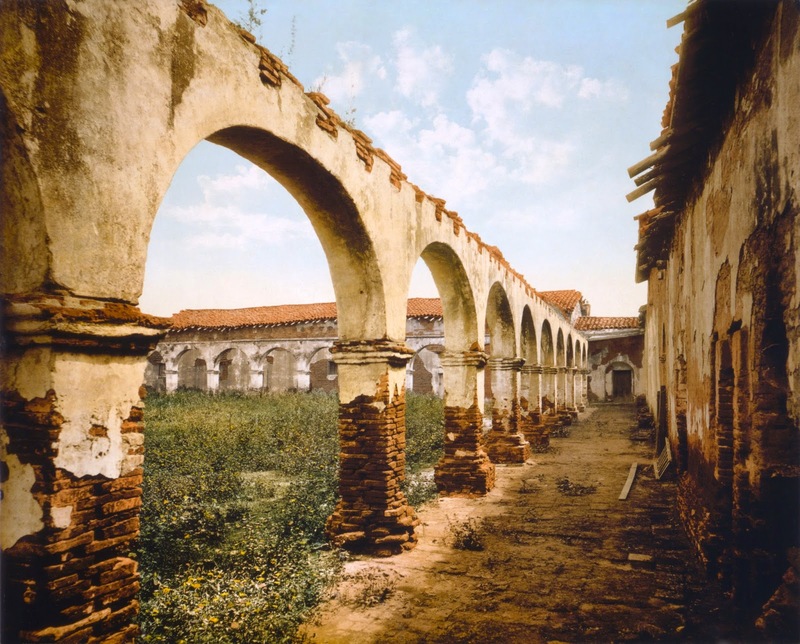 In 1915, an article in Overland Monthly, a California magazine, told the story of the birds' annual habit of nesting beneath the Mission's eaves and archways, and made the swallows the "signature icon" of the Mission. The pastor of the Mission at the time, a Father O'Sullivan, capitalized on the swallows to generate public interest in restoring the Mission. A popular tale was that the swallows (las golondrinas in Spanish) flew over the Atlantic Ocean to Jerusalem each winter, carrying small twigs on which they could rest atop the water along the way. On March 13, 1939 (six days before St. Joseph's Feast Day), a popular radio program was broadcast live from the Mission grounds, announcing the swallows' arrival. Composer Leon René was so inspired by the event that he wrote the song "When the Swallows Come Back to Capistrano," which became a hit released by many popular singers. A glassed-off room in the Mission was designated in the composer’s honor and displays the upright piano on which he composed the tune, the reception desk from his office and several copies of the song's sheet music and other pieces of furniture, all donated by René's family. During all the time that the swallows were nesting at the Mission, they certainly never thought about St. Joseph nor about returning specifically on his feast day. 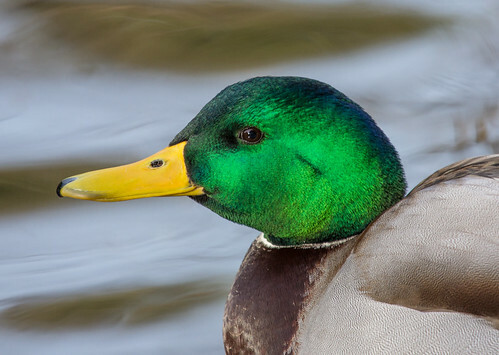 But bird migration does have natural rhythms, and the birds most certainly tended to return by about March 19—as long as people could carefully avert their eyes to avoid noticing them before that date, they could count on their return on St. Joseph’s feast day. 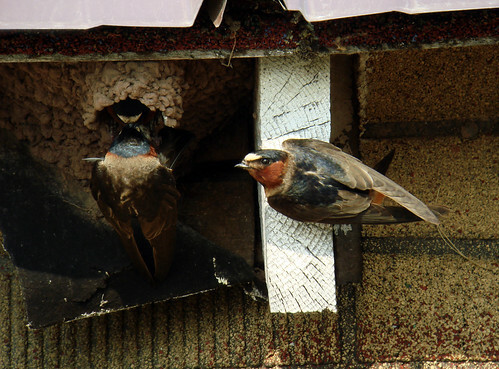 By the 1980s, the numbers of swallows returning were diminishing. At some point in the 1990s, I remember watching a CBS news story reported by Dan Rather about the birds’ return, only the cameras weren’t focused on swallows at all, but on swifts. Now few if any swallows nest on the Mission each year. Much of the loss is due to development. 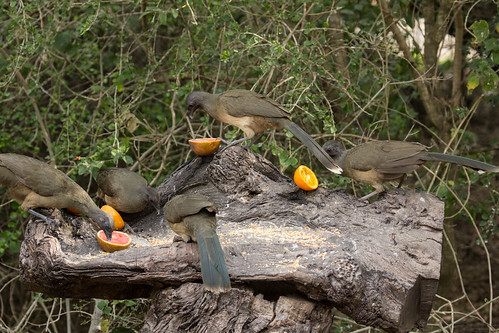 Optimists claim that now there are many more structures for the birds to use. 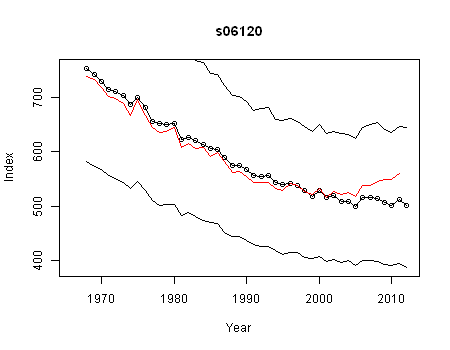 But the truth is, Cliff Swallows are declining significantly throughout California. Pollution and overuse of the limited water resources have destroyed populations of mayflies and other valuable insects essential for fueling their migration and feeding families during the breeding season. Extended drought conditions exacerbated by overuse of water may also have decreased the supply of useful mud for building. It mystifies me how people who treasure our nation’s human history and traditions don’t seem to see how much we lose in terms of human values as well as natural ones when our most beloved species decline. 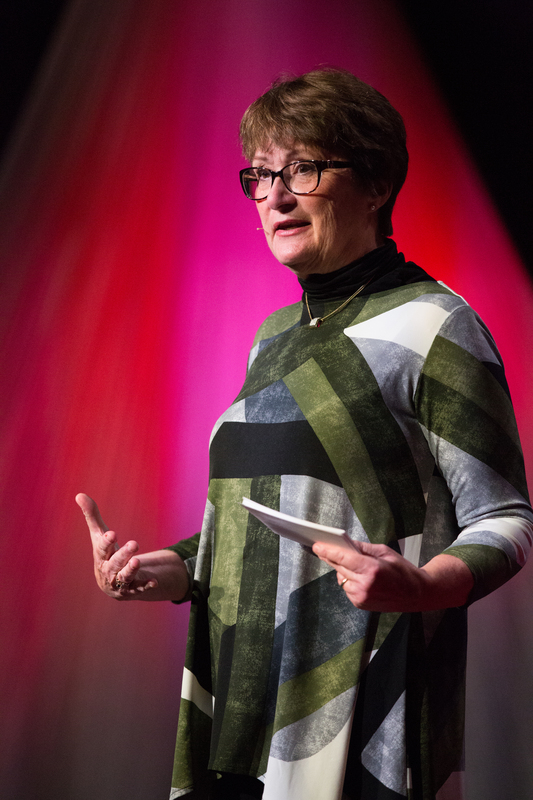 We learn as children that people eventually die, buildings and businesses and whole cultures and civilizations eventually fall apart, but the one thing we can count on—the one thing that gives us our very concept of permanence, or "forever"—is nature. Watching the skies for swallows on St. Joseph's Feast Day may be at heart romantic silliness, but our trust in the future is fundamentally compromised when we sell out the permanence of nature’s rhythms for quarterly returns on our 401-Ks. I hope we figure that out before our society crumbles like the Mission’s walls. Every day, people send me bird stories, pictures, and videos they’ve seen on the Internet. One kind irritates me—videos, invariably set to music, of captive birds, in rehab situations or from countries where wild native birds such as owls can be kept as pets, doing what superficially looks like funny or cute things. “Laughing” Snowy Owl pictures are invariably showing stressed or overheated birds panting. Videos of cats or dogs playing with birds may sometimes be showing really well trained pets, but set up dangerously false expectations. Before I knew better as a rehabber, I used to let my golden retriever Bunter follow me everywhere. 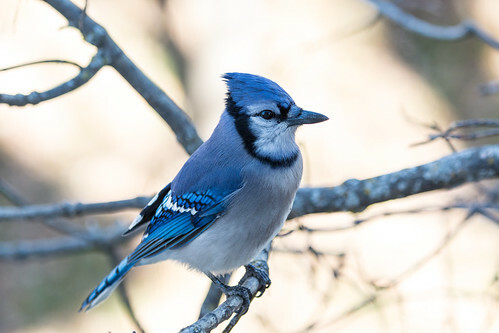 One time when I accidentally left her in a room with Blue Jay fledglings, I returned to find one baby jay hacking into her back like a woodpecker, and another leaning over on her snout, probing into her nostrils. This made for a wonderful story I’ve used for over two decades, but when I tell it, I add reasons why despite Bunter’s trustworthy nature, it was a horrible mistake to let this happen. Indeed, one of those jays ended up being unreleasable. 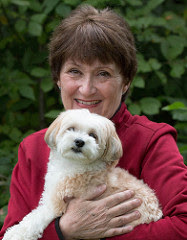 During the period I was trying to acclimate her to the wild, she kept landing on strange people AND dogs—and was almost killed by a dog. 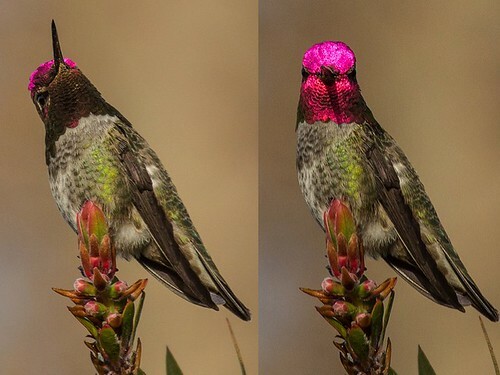 One video showing what is touted as a “snoring hummingbird” is actually showing a desperately stressed hummingbird coming out of torpor. That one and a lot of the ones showing young owls in rehab situations elicit comments on facebook about how people want a hummingbird or owl as a pet. Acquisitiveness is a quintessentially human quality, but in the context of possessing wild animals seems profoundly misguided. Why can’t we love wildlife on its own terms? 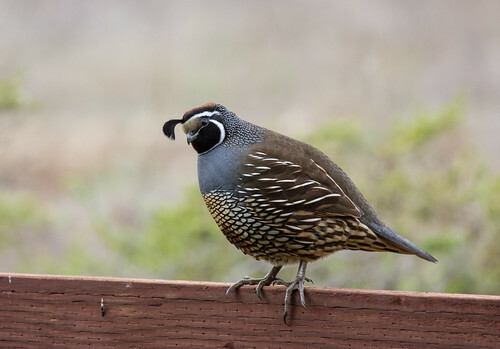 If a photo of a lovely bird or mammal elicits yearning in us, why must that yearning be to own the animal rather than to experience it in the wild? But as cranky as some viral wildlife videos and stories make me, some are wonderful. One of the stories making the rounds since last week is about an 8-year-old girl in Seattle who has been feeding peanuts to her neighborhood crows since she was a toddler. The crows came to recognize her not merely as a source of food, but as a comrade, and started bringing her little gifts, such as paper clips, Legos, rusty screws, beads, and a pearl-colored heart. She puts food for the crows into a dry birdbath, and they leave these gifts for her there, rather as Boo Radley left little gifts for Scout and Jem in a knothole. It’s possible, of course, that the crows aren’t knowingly giving her gifts. 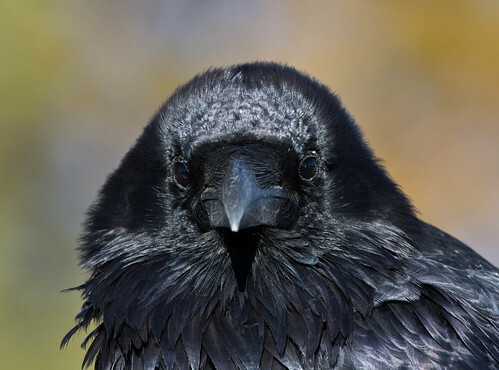 Corvids carry food and other items in their throat pouch; if they come across a better morsel, they spit out what they’ve been carrying before they pick up the new item. So these gifts may simply be discarded items they don’t value as much as food. That would be my conclusion if the girl had found just one or two things in there, but they’ve left her so many things just since 2013 that it’s very likely that they really do intend them as gifts, or at the very least as a fair trade. After this story went viral, other people started reporting on gifts they’ve received from corvids. After all my years of birding, I have only one story to offer. Back in 1981, I was staying with Russ’s parents for a couple of weeks while Russ and I were in the process of moving, and I took walks in Port Wing every morning. One day when I returned to the house, I noticed that my wristwatch was missing. It was on a leather strap, and the buckle had occasionally worked its way open. 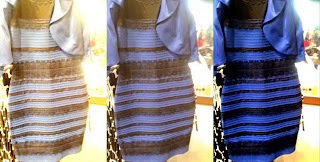 I thought it was lost forever. The next day when I was three or four miles from Russ’s parents place, a raven flew over and made some interesting squawks I’d never heard before. A few minutes later, that or another raven flew over with something hanging out of its beak. I pulled up my binoculars, and there was my watch! The raven flew in, closer and closer, right over my head. And voila! It dropped my wristwatch at my feet. The watch stopped working a year or two later, but I’ve never been able to throw it away. Somehow that raven had transformed my cheap old watch into a priceless treasure. This winter has been colder than average over much of the Great Lakes—the ice cover over the Great Lakes system was at 88.3 percent as of March 1, and 94.1 percent of Lake Superior is ice-covered. Here at the western end of the big lake, we can usually still see a big patch of open water, though that moves from day to day. The ice piles up on the South Shore when winds have a northern component, and on our side of the lake when winds are southerly, so our hopes of spring, pinned to that blue water, can be raised or dashed depending on which way the wind is blowing. Hamlet must have lived on the South Shore to be but mad north-northwest. As the ice sheets slosh back and forth, colliding with the shore and other ice sheets, dead fish and other small aquatic critters at the surface end up getting embedded in the ice. By March and April, we see increasing numbers of crows, ravens, and eagles walking on the ice. When people ask me what they’re looking for, I explain about these frozen dinners, but I’ve never had a good photo of what’s happening, until I heard from Kelly Preheim, a kindergarten teacher and birder from South Dakota. 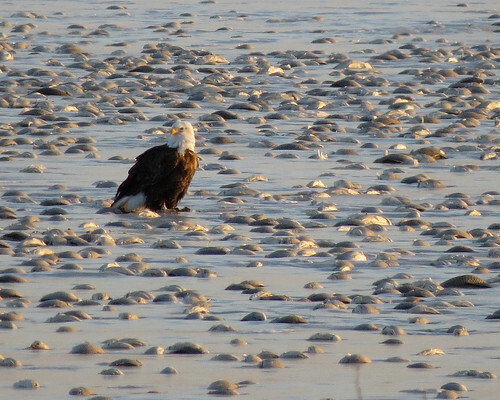 The lake at Lake Andes National Wildlife Refuge had a fish kill last year and in mid-March there were hundreds of Bald Eagles, American Crows and gulls at the lake in a feeding frenzy! It was quite loud amongst the flurry of wings and I was amazed at what I saw! This year is proving to be a repeat year. 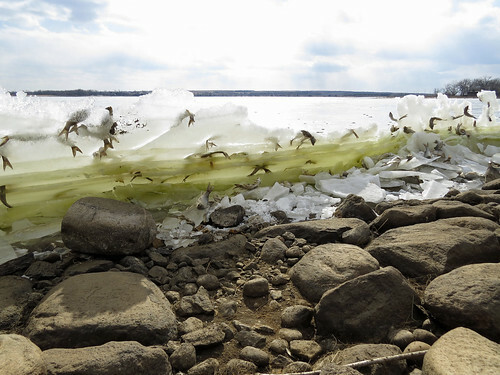 Today there were deceased fish scattered all along the surface with some fish in these vertical ice jams. 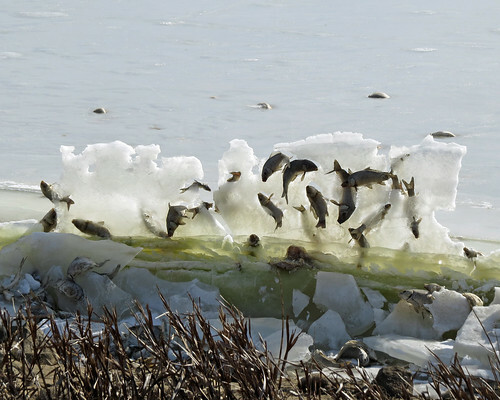 Kelly posted this amazing photo of fish trapped in the ice, and gave me permission to use it here. Apparently wind and wave action had pushed some ice sheets into a vertical position, and fish that had been trapped—probably dead on their sides when originally frozen—were propped up and appeared to be jumping—some looking quite alive within the ice sheet. She also added a photo of an eagle on the ice. I’ve never ever seen anything so dramatic on Lake Superior. The oligotrophic nature of the lake—that is, its high oxygen content and low density of plankton and vegetation—and its sheer size, keep concentrations of fish down. 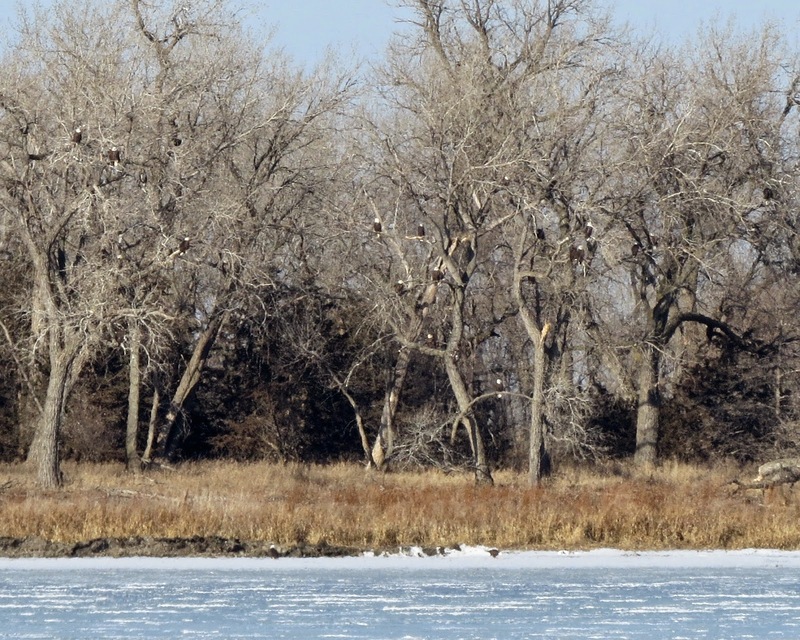 Sure enough, the birds we see combing the ice aren’t nearly as concentrated on the lake as they are in Allouez Bay off Wisconsin Point, and even there I've never seen anything like what Kelly documented in South Dakota. She posted another photo to show how many eagles were gathered nearby. Even if we can’t see the fish from shore in my neck of the woods in anything like Kelly's surreal photos, experienced birds know that fish are there, and even inexperienced ones discover them either by spotting them as they fly over or by noticing other birds picking away. I’ve never flown over the lake myself, so I can’t be certain, but I’m sure there are both insects and fish, some mostly intact and some in bits and pieces sitting out there waiting to be eaten. Up here in the north, ice sometimes remain in Lake Superior until May and some pockets close to the lake may not have much leaf out before June, so signs of spring can be subtle and easy to miss. Even our fish kills are apparently not as dramatic as they are in other places. Watching crows and eagles combing the decaying ice surface for bits of dead aquatic animals may not appeal to some people, but I’ll take the season as it comes. Three weeks ago, I had a mild heart attack. I realized it early on, and Russ rushed me to the hospital before there was too much damage, but the following week I had a bad reaction to a statin drug and ended up back in the hospital again. That turned out to be more debilitating than the heart attack itself, but I'm pretty much recovered again. Even so, intimations of my own mortality, which have been whispering for a few years now, suddenly have grown more insistent. In addition to the heart attack, the past two months have provided a couple of other disturbing signs of advancing age. In December I had two basal cell carcinomas removed from my face. Considering how much time I spend in the sun, I'm lucky I've never had any skin cancers before my 60s, and this is the least dangerous form of skin cancer, but it was nevertheless disconcerting. Then last week I got fitted for hearing aids. 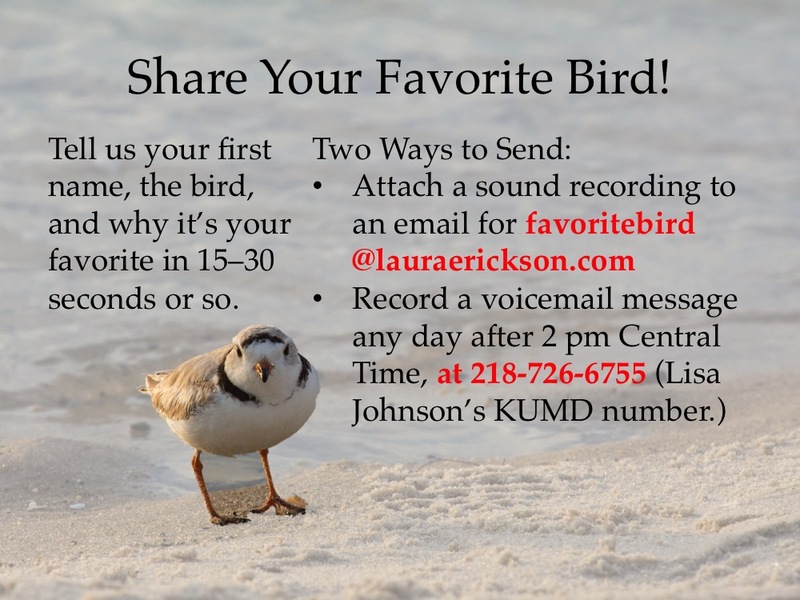 Of course, people much younger than I need them, too, and my audiologist assured me that most people can deal with my level of hearing loss without hearing aids at all, but I need to hear high-frequency bird songs for both my field and radio production work. I've spent time with older birders who insist they haven't lost any of their hearing even as I watch them missing nearby birds singing away. I wasn't afforded that luxury of denial—for several months, I've not been able to hear part of a Cedar Waxwing recording I've been using for many years, even when I crank up the volume to the maximum. Realizing I'm losing my high-frequency hearing has been distressing but, like skin cancer or my heart attack, is exactly the sort of problem that can be solved only when faced full on. As mortal as I suddenly feel, I’m hardly ready to turn in my binoculars. Jack Kerouac wrote, “Why think about that when all the golden lands ahead of you and all kinds of unforeseen events wait lurking to surprise you and make you glad you're alive to see?” I'm getting a puppy in two weeks, and looking forward to having her in my life has definitely given my days a luster of gold. It had never even occurred to me when I arranged to get her on the day she was born, January 2, that it might be possible I'd not outlive her. Ironically, I'm actually less likely to suffer a heart attack now that I'm on blood thinners than I was before we knew I had a congenital aneurism in a coronary artery. Yet, regardless of statistics, I have an unsettling, visceral sense of my eventual demise that I'd never felt before—a feeling that will be forever reinforced by the little vial of nitroglycerin I'm supposed to keep with me at all times, prescribed by the same professionals who say my chances are excellent that I'll never need it. Being certain Pip will be loved and cared for no matter what gives me a feeling of security and peace even as I love being pretty sure I'll be here to enjoy every day of her life. Every morning, the sun rises earlier than the day before—at least if we keep our bodies set to Standard Time—and every day the birds in my yard get more vocal. One chickadee seems to own the territory right by my upstairs window, and starts the morning singing for three or four minutes before he takes an interest in mealworms. There's something reassuring in the certainty that he and my other chickadees are doing just fine, and will be singing, mating, raising young, and carrying on no matter whether I'm there to watch them or not, even as each day that I see them feels precious in a way I never appreciated before the heart attack. For several weeks now, redpolls and siskins have been descending upon my feeders at first light. They're eating more than 30 pounds of seeds each week—about 20 pounds of sunflower and almost 12 pounds of nyjer. The bustling activity is keeping my spirits buoyed even higher than the longer day length and singing chickadees are raising them. Watching these birds keeps me grounded in a world that is natural, true, and sincere, and enlarges my capacity for honest and joyous astonishment about astonishingly genuine, beautiful elements of this planet. And in two weeks, I'll be able to enjoy all this with a new puppy at my side. I'll be starting the list of birds I see with Pip starting March 21, the day I get her. She will be coming with me on several trips this spring, as far as Ohio and Florida. If all goes according to plan, we'll see at least 200 species together between now and the end of May. I don’t know how other people get through their days without at least occasionally blocking world and national events from their consciousness. I don't know how any of us can sustain a dream of making the world a better place without knowing, deep in our bones from real experience, just how beautiful the world can be. And I don't know how other people deal with the grim sense of their own mortality. All I do know is that one could do worse than be a watcher of birds. 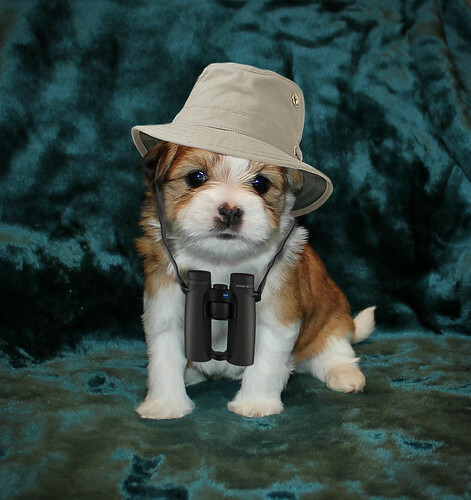 And how could one possibly do better than be a watcher of birds with a puppy? 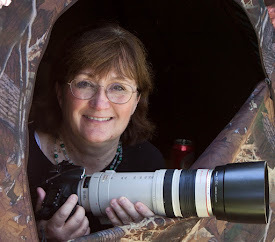 March 2, 2015, was the fortieth anniversary of my becoming a birder. 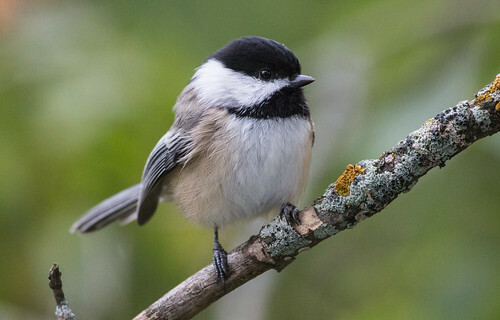 On that Sunday in 1975, I spent over an hour in Baker Woodlot on the Michigan State University campus searching for a bird—any bird—and finally found and painstakingly identified it—a Black-capped Chickadee. 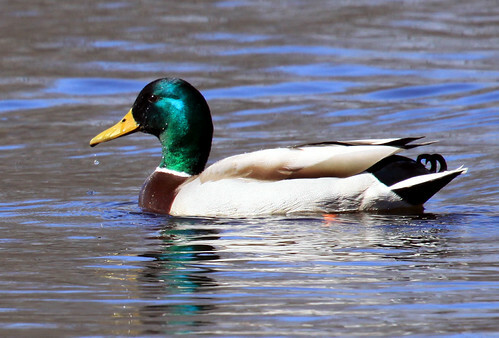 Three days later, I saw my second species—Mallard—on the Red Cedar River on campus. Four days later I doubled my life list again when a European Starling and House Sparrow first visited the bird feeder Russ put up for me behind our apartment. 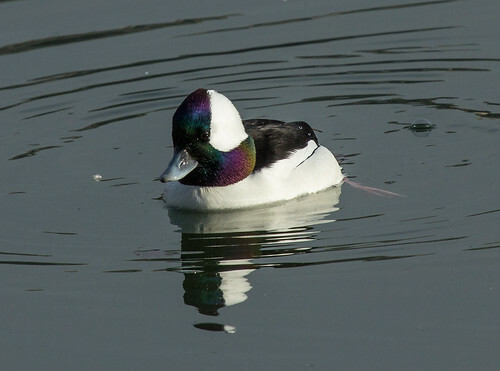 I doubled my life list again on March 17, when Russ and I visited the Morton Arboretum outside Chicago and I added cardinal, crow, Canada Goose, and Bufflehead, bringing my list to 8. That also marked the last time I’d ever double my life list in a single day. 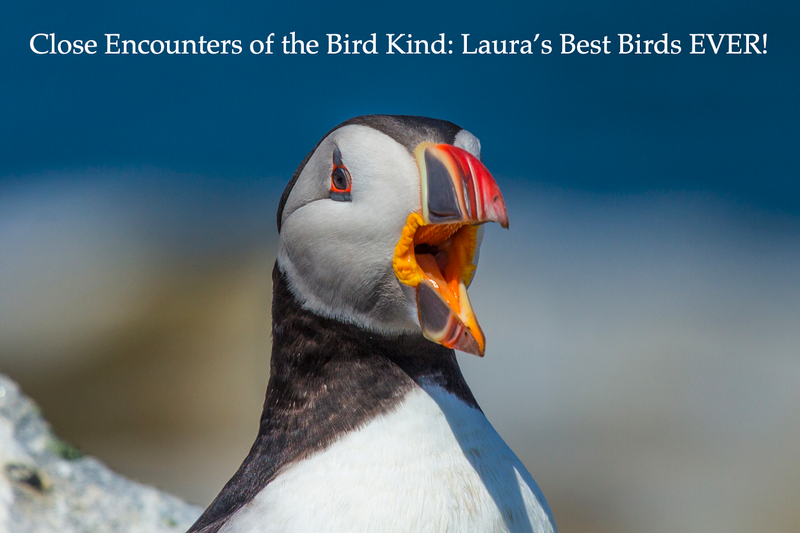 I was so inexperienced that it took forever to track down a distant movement or sound to find the bird, and then I had to work my way through the field guide trying to figure out what it was while it was still in view. I often missed, but by the time I finally did find and identify a singing bird, I’d securely memorized the song and worked through a lot of similar species in the field guide. One day that spring, May 11, I added 10 lifers, including my first four warblers. The heady excitement of finding and figuring out all these new birds on my own was as intense as falling in love. 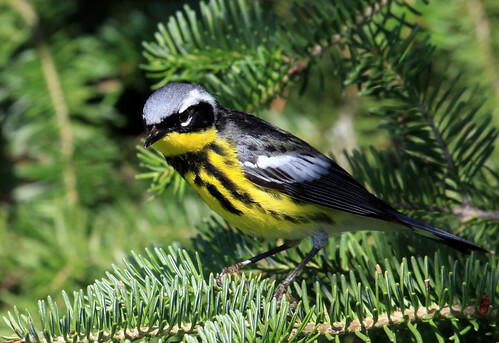 Magnolia Warbler: #33 on my life list, and one of the warblers I saw on May 11, 1975. I often encounter people who started their life lists at birding festivals or on organized field trips. 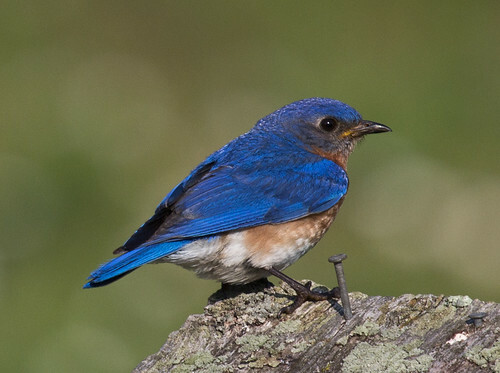 A life list can mushroom that way—a morning walk with an expert in good midwestern habitat during migration can easily yield 50, 70, or more species, while at the end of my entire first spring of daily birding, my life list had reached only 40. 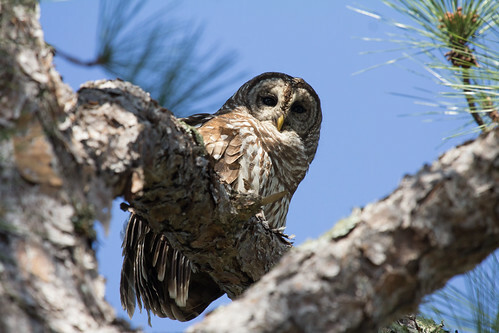 But my slow initial progress paid off in the long run—the skills I was developing in finding and identifying birds, including learning their vocalizations, were solid. 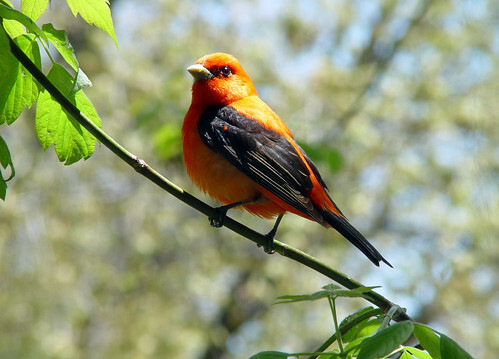 I jumped on the fast track that June, when I took a field ornithology class at the Kellogg Biological Station, near Kalamazoo, Michigan, more than doubling my life list in 3 weeks, bringing it to 90. 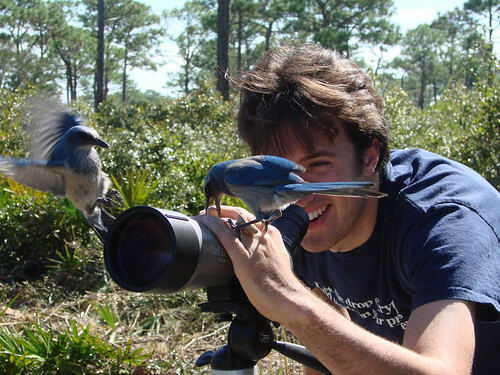 The class was held 2 days a week, and I spent much of the remaining 5 days each week out searching for birds on my own. All that focus, day after day, helped me ace the field exams. I added 30 more lifers in 1975, ending the year with 120 species on my life list. The next year I brought it to 225. I reached the 300 mark in 1978, and broke 400 in 1980. 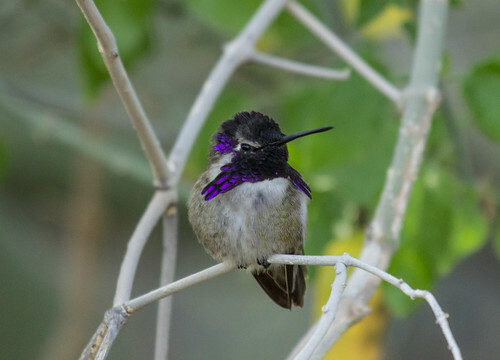 Russ and I made trips to Texas and to southeastern Arizona, using bird-finding books by Jim Lane to tell us where to go and what to look for. Madison Audubon sent me on a trip to Estes Park, Colorado, and I got to go on a trip, mostly camping, to many Western spots with my sister-in-law. I delighted in figuring out so many unfamiliar species in my old, plodding way, though I was much more skilled now, missing few of the birds I searched for. My romance with birds and my joy in finding and identifying them on my own were as overpowering as ever. 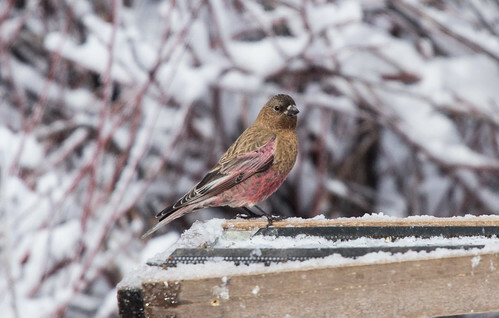 Brown-capped Rosy Finch: #357 on my life list, first seen in Colorado on July 2, 1979. Things settled down when we had our first baby in 1981. I was just as passionate about birds, but my love was ripening into something integrated with family life. I was limited to watching them closer to home and on family vacations, so building my life list slowed down considerably. I didn’t break 500 until 1991, and didn’t get to 600 until 1999. In 2001, when my youngest was in high school, I took my first trips to Costa Rica and Trinidad, which helped me break 1000. Now I have about double that, and my love for birds is as strong as ever, but it’s matured into a quiet, constant love rather than a red-hot acquisitive passion. So soon after my heart attack, I’m feeling mellow and Zen-like, happy to enjoy whatever comes my way without feeling any compunctions to chase down rarities. 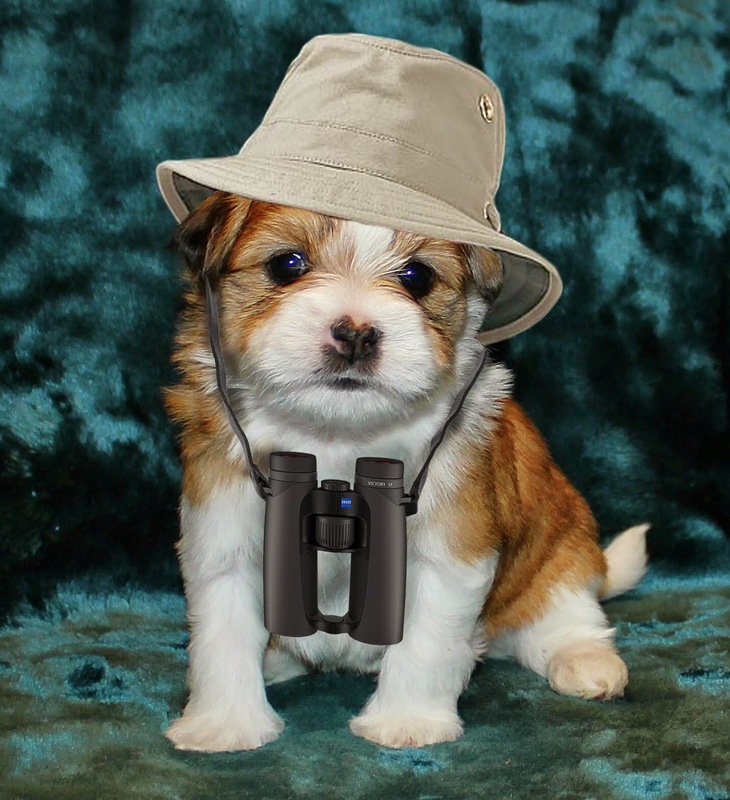 On March 21, I’m getting a puppy named Pip, and have decided to start a whole new list of birds seen with her at my side. We’ll be starting out when I pick her up at her breeder’s home in a Chicago suburb, so our first birds together will include many of the ones I first saw 40 years ago. I don’t expect her to master the differences between Empidonax flycatchers, or even the differences between a chickadee and a Blue Jay, and I expect that a small dog will be more inclined to moseying rather than high-powered bird chasing, just as I seem to be right now. But both heading to wonderful birding spots and sticking closer to home, my jolly little birding companion will give me a lovely way to start anew, just in time to mark the beginning of my fifth decade birding.